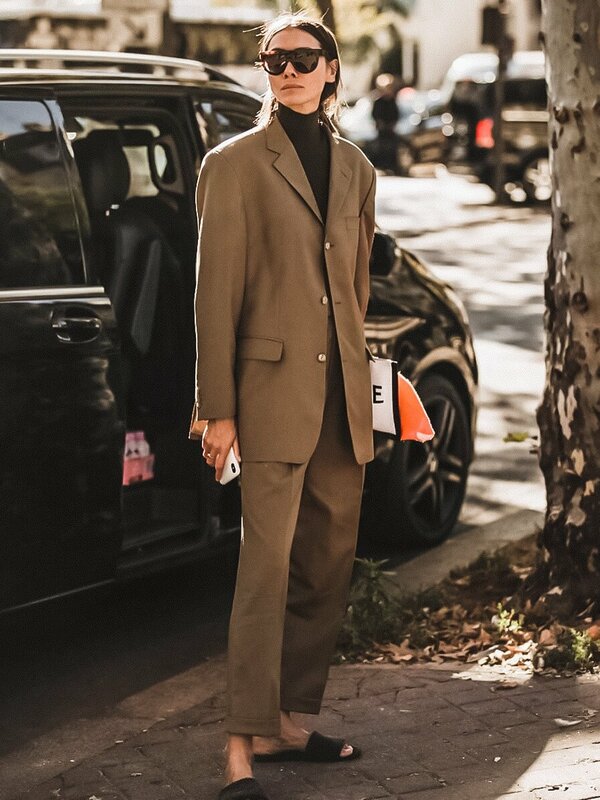 Just when we thought we couldn’t love Fendi anymore, we see this.. Sara Sampaio strutting her stuff down the street, giving us major outfit jealousy. Styled by no other than Mimi Cuttrell, this outfit is one for the ages. Sporting a pair of Fendi boots and matching Fendi print bag, these accessories are killer. Worn with a Fendi tee and oversized pants, Mimi has taken this look to a whole new level. With our love for oversized still very much in tact, the contrasting tight tee is the perfect way to style these very oversized pants. And the perfect suit look..